Having Fun With My Friends | Zack Gosselin — Doing Thoughtful Differently! 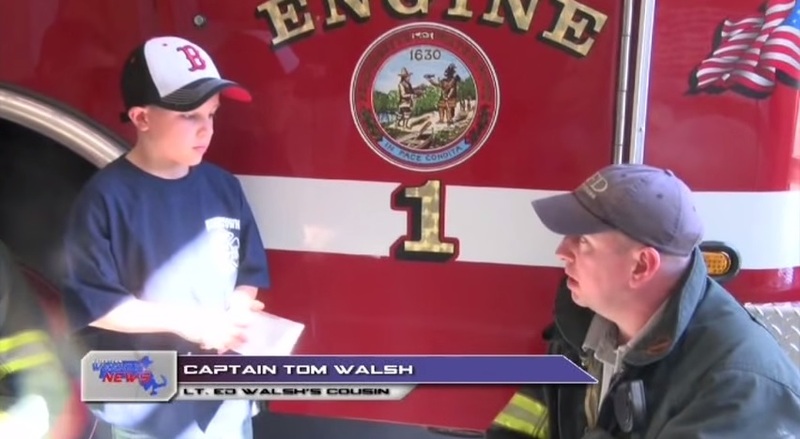 In case this is the first time you are learning about me, I’ve been doing philanthropic work for families and causes facing ‘trying’ times throughout New England since I was six years old. I cannot state enough about how big, warm, and oh-so-right the feel-good effect is when our great community at Dream Bigville raises the level of hope for a cause that often believes the future is anything but ‘bleak’. Now, instead of theorizing about how I am an advocate for what my dad calls “yo-man’s work,” I decided to begin building a portfolio of projects to illustrate how doing thoughtful gestures differently for causes and for folks who could use a little “loving-up in life” doesn’t have to cost a thing… other than, of course, doing a bit a selfless thinking and putting forth some effort. Since 2013, I, with the help of a rock-solid leadership team have donated a total of over $4,000 to various causes that are near and dear to the values I want to represent at the highest level in life. To review, in 2013, we helped my fellow kindergartners and “Sandy Hook Survivors” think about something other than the horrific tragedy. 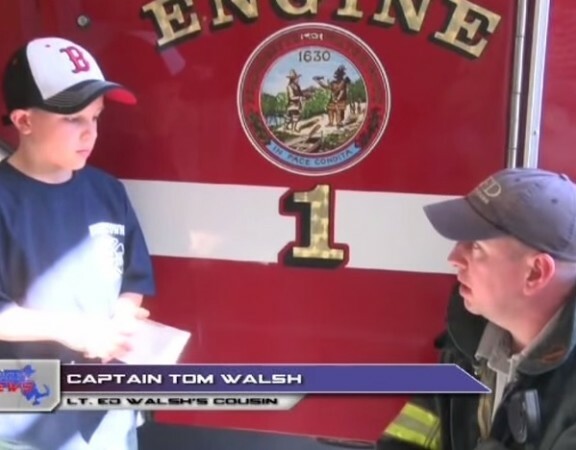 In 2014, I donated $400 to the Walsh-Kennedy Memorial Fund, which commemorated the selfless service of two of Boston’s best fire-fighters who died in the line of duty. In 2015, I wanted to help women get back on their feet in the workplace and donated $1,300 to Dress For Success foundation in Worcester, MA. 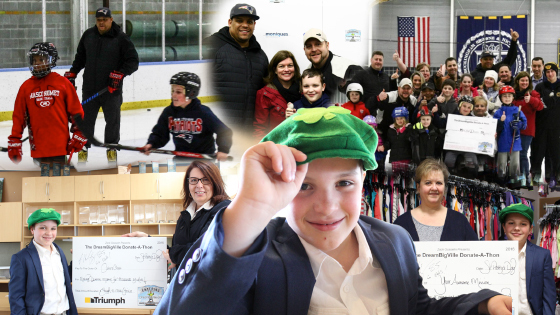 …And just this past year, ironically on St. Patrick’s Day, I, with the support of dozens of Boston-based businesses, donated $2,642 to support Catie’s Closet. To date, their staff of over 200 volunteers has opened up and donated over 1 million pieces of clothing through “kiosk-like storefronts” in over 37 schools in the Merrimack Valley area of Massachusetts and Southern New Hampshire. Catie’s Closet has a storefront location in my home town of Billerica, MA (at the Vining School). People rave about this when I tell them that this is the charity we chose to support. We wanted to generate the kind of momentum so that celebrities and high-profile people and businesses in the Boston area and beyond would want to potentially support. In coming years, don’t be surprised if our donation amounts go up 10, 20, and even 100-fold. We had the opportunity to present our story to the Rotary Club of Billerica, MA who invited my parents (John Gosselin and Liz Melin), my 4th grade teacher and the principal from the Hajjar School, and several other notable community members, and we look forward to using this experience as a stepping-stone to working with bigger crowds soon. I have to say, getting “Wiggy With It” on the ice at the Buckingham, Browne, and Nichols School (BB&N) in Cambridge, MA last year was so much fun… It was certainly a moment that will be forever breathtaking. “Wiggy” was so courteous with his time and never once thought twice about saying no to taking pics, signing autographs, playing pick-up hockey with us, and more! I cannot wait to help next year’s cause generate the momentum that will have whomever we support and work with, and their constituents believing like they never have before in the beauty of dreaming big and in putting “service before self” when facing ‘trying’ times in life. Thank you for supporting our team’s mission this year. P.P.S. – If you haven’t downloaded my book “13 Ways To Put Service Before Self” yet, please fill out the form on my website and you will instantly access it. FYI, I’d love to read your review on my FB page.